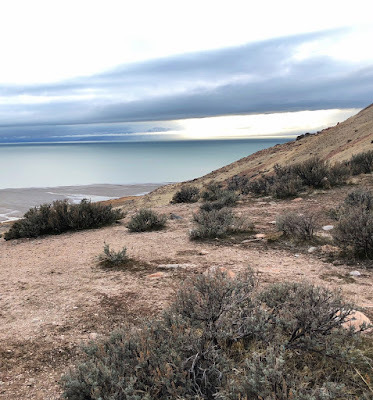 A big storm was forecast, and based on the forecast I was going to be able to get to Antelope Island ahead of the storm, be there for it, and drive home the next day after it passed. One of my main motivations in going was to test my new truck as a tow vehicle. It did great! So much nicer to pull with than the Tundra and almost double the miles per gallon too. I took cross country skis, hoping to ski along the lake. The snow stuck to my skis and they were useless, so I hiked out to the lake in my cross country ski boots. 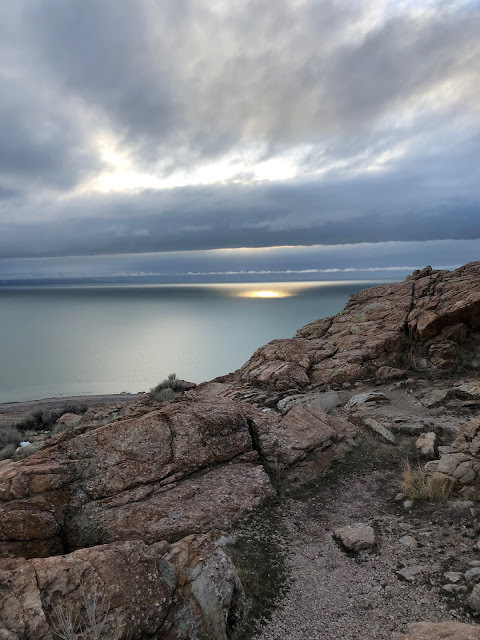 I love this photo looking west over the Great Salt Lake as the storm approached. I used an iPhone and no filter. Also before the storm. The color of the lake was eery and beautiful. 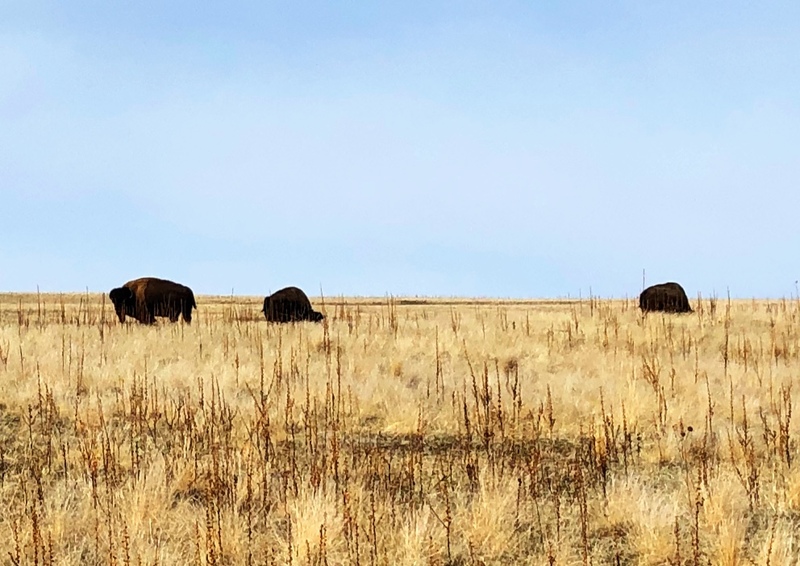 Buffalo literally right out the door of my RV. They were no more than 200 yards away. 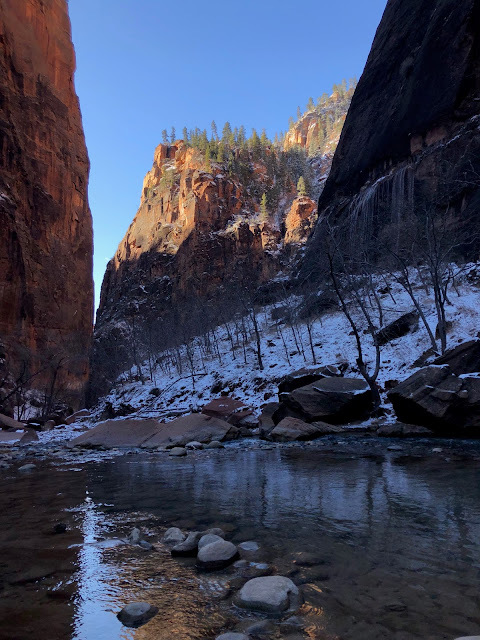 All of these are iphone photos, at least you can see what they are. Jake did the hike with me Saturday evening, when I took the first two photos on top of this post. The poor boy is getting old and I probably pushed him too hard, though he was happy to be out. Sunday morning toward the end of the storm. 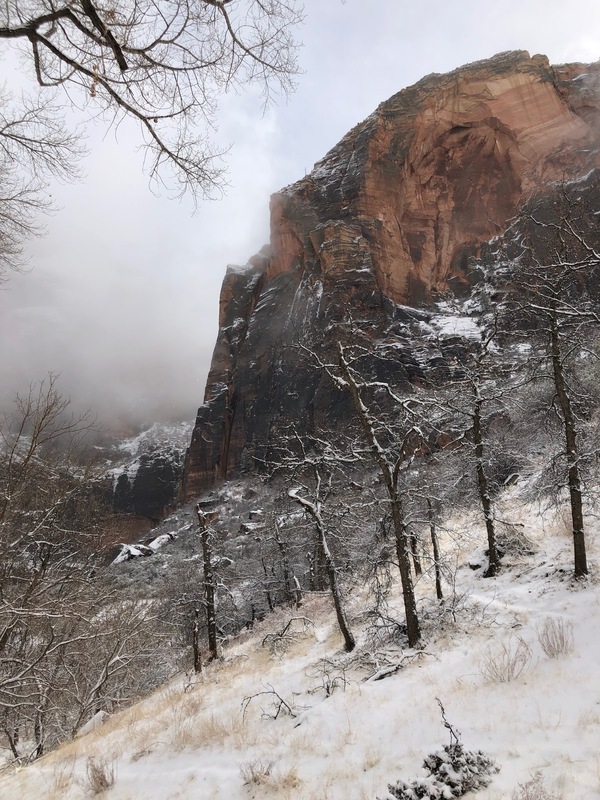 The snow transformed the landscape. I'd say we got about six inches. This spot was wind blown. Winter beach camping, Utah style. With Jake in the frame. 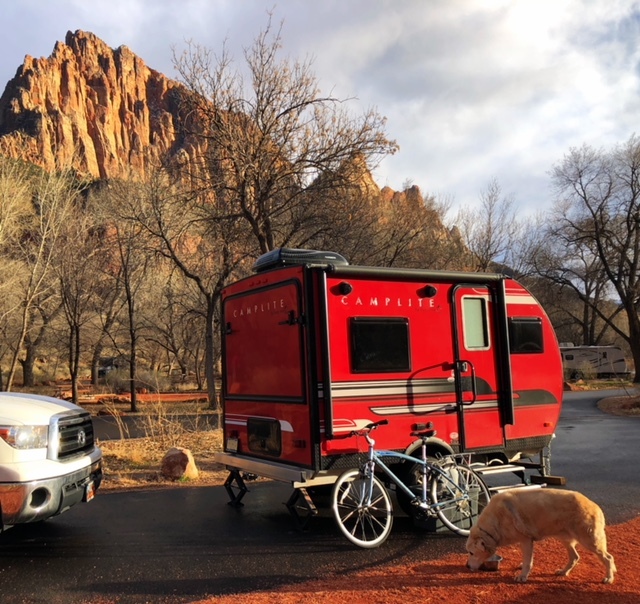 I sold my Airstream, but it's still in my driveway. Even more snow at my house. I shoveled for a good 90 minutes, the most I've had to shovel all winter. It was a wet snow too. Glad I got it up while it was still fresh. As of today, March 1, the 2018 Ram 1500 EcoDiesels are missing in action and there is a lot of contradictory information about their status. Two days ago, auto journalist Tim Esterdahl heard from his contact at Ram who said there are "no issues with the EPA. The 2018 EcoDiesel is certified. They just haven’t hit dealer lots due to the production mix at the factory." Where have the diesels gone? Ram told TFLTruck in a story posted on January 22 that that the Ram EcoDiesel “is [available] as a 2017 model year truck. It’s sold alongside current 2018 gas-powered trucks.” In the same story they said that the 2019 updated version of the Ram will have an EcoDiesel available sometime in calendar year 2019--which is later than when other 2019 Rams will be available. The TFL article doesn’t specifically mention 2018 models. Last October, Automotive News reported that Fiat Chrysler Automobiles (FCA--Ram’s parent corporation) had not yet received certification from the EPA for the 2018 EcoDiesels. This week I did a search online. A few dealers in the country had 2018 EcoDiesels listed as available, but when I contacted them, they didn’t actually have them. Also, most of these listings were clearly using stock photos--with some dealers using the same photo for each supposed listing. 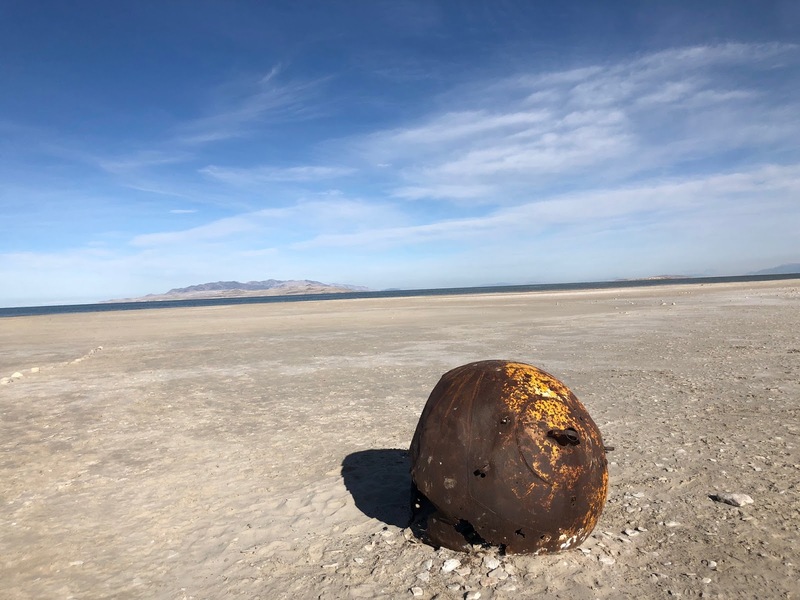 When I asked my Utah dealer where the 2018s were, they simply replied, “we haven’t got them yet.” Fair enough, but will they ever? In 2017 there was a sales hold on this model while FCA/Ram went through a recertification process with the EPA, who had issued a Notice of Violation of the Clean Air Act in early January that year. The EPA gave Ram permission to sell the 2017 model year again in late July. There are a healthy number of 2017 EcoDiesels still available today, and dealers seem to be getting aggressive with discounts. On forums people report that they were able to order a 2018--as late as late January of 2018--although some of their orders were subsequently cancelled. One guy who ordered one says he was told it’s been made but shipped to storage pending EPA approval. That contradicts what Esterdahl was told by Ram, but seems more believable to me. The unresolved battle with the EPA regarding emissions no doubt is the source of this mystery of the 2018 diesels. I wrote more about the emissions issue in a separate post. Tim Esterdahl’s new information from Ram is interesting, but it would be nice if there was something definitive from FCA/Ram. If there is no 2018 model year that could impact resale value of this innovative truck. The Ram Trucks website provides no option to add a diesel engine to 2018 Rams. So where are those 2018 Ram EcoDiesels? '17 diesel Rams are finally on dealer lots, Automotive News, October 7, 2017. Ask TFLTruck: Current Generation 2019 RAM 1500 regular cab and what's up with the EcoDiesel V6? 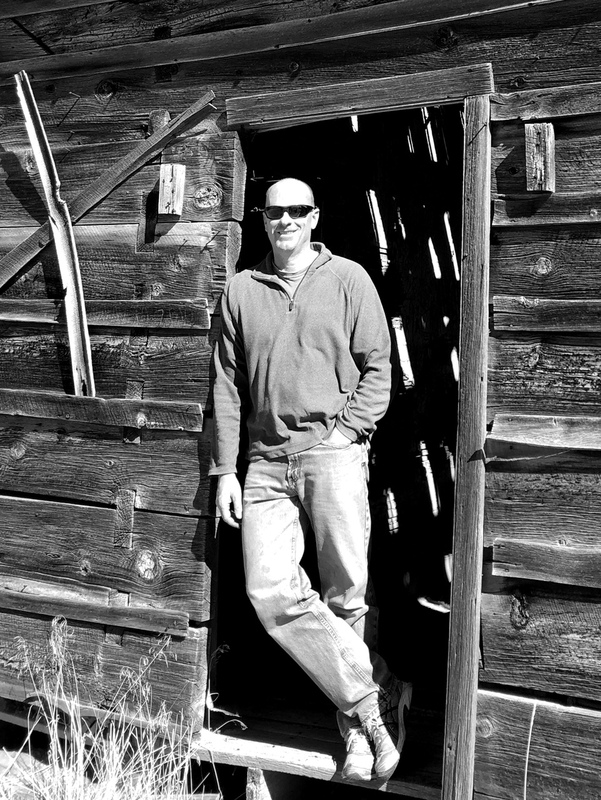 Auto Journalist Tim Esterdahl--Special thanks to Esterdahl for reaching out to Ram and letting me quote him. For more truck news follow Tim at his website https://pickuptrucktalk.com. Also subscribe to his channel on YouTube, he's near a threshold there and could use more subscribers. If you have any information on the 2018 EDs, please leave a comment! Read my History of the Ram 1500 EcoDiesel here. Yesterday, it looks like just after I posted this, Jared Balfour wrote a post with additional info on the 2018 EcoDiesels that confirms their existence. He also discusses the 2019s. Today Balfour received confirmation from Ram that the 2018 diesels are EPA certified! Jared has a high degree of confidence that this is the case. Hopefully this will be the final word on certification. I guess the 2018s are unlikely to be released until the 2017s are mostly sold. Click here to read Balfour's story. The Kanab Balloons and Tunes Festival was my first balloon festival ever. It was amazing. I really didn't know what to expect. 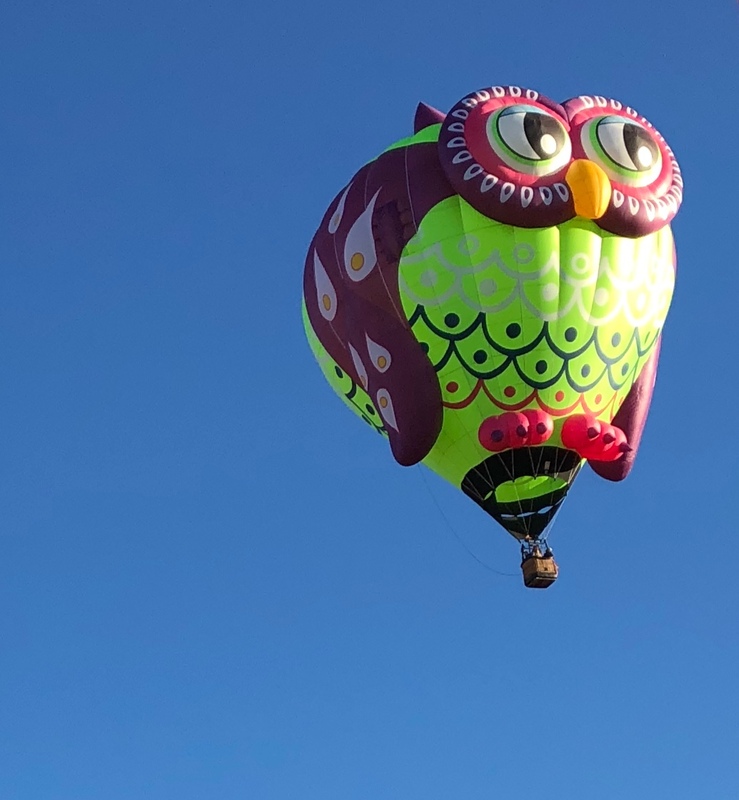 Love this happy balloon. 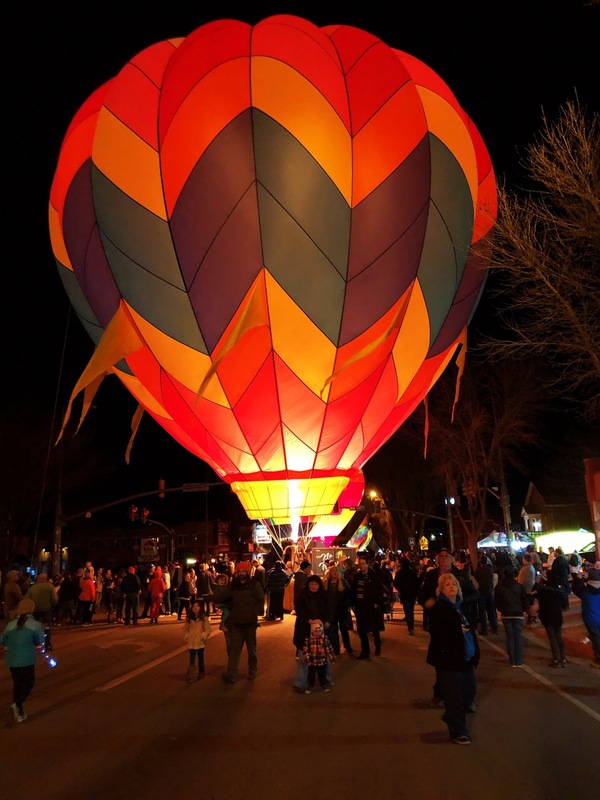 They shut down US 89, the main highway through Kanab, lined up around 20 balloons and had the "light in." Pure magic. My rig just east of Bryce on the way down. The Tundra was good looking, but not so good at pulling. I traded it in at the end of the week when I came home. 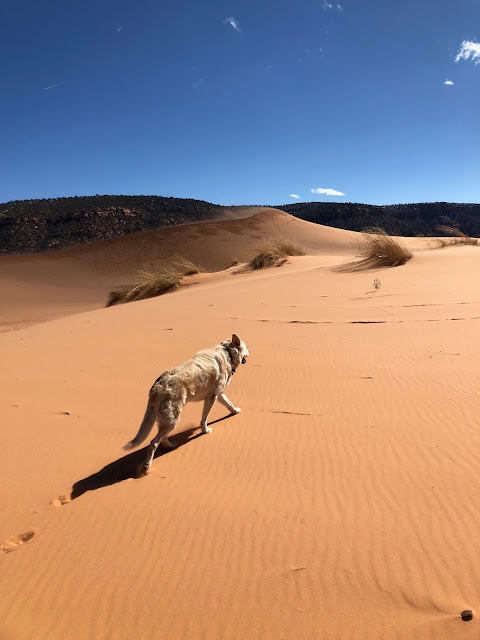 Another of Jake and Coral Pink Sand Dunes. 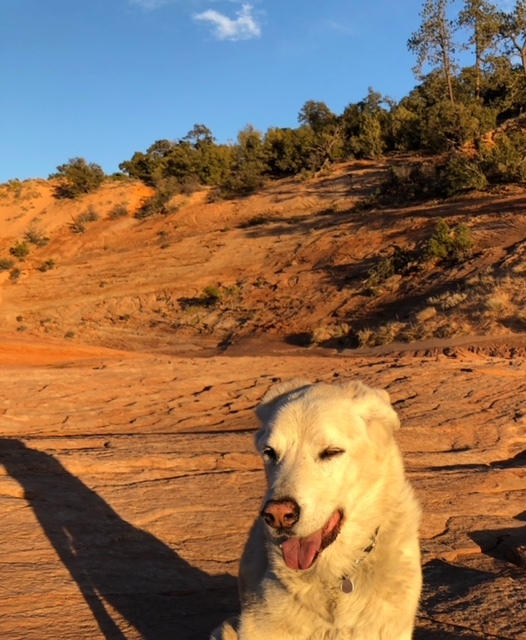 My superstar boy just before sunset. 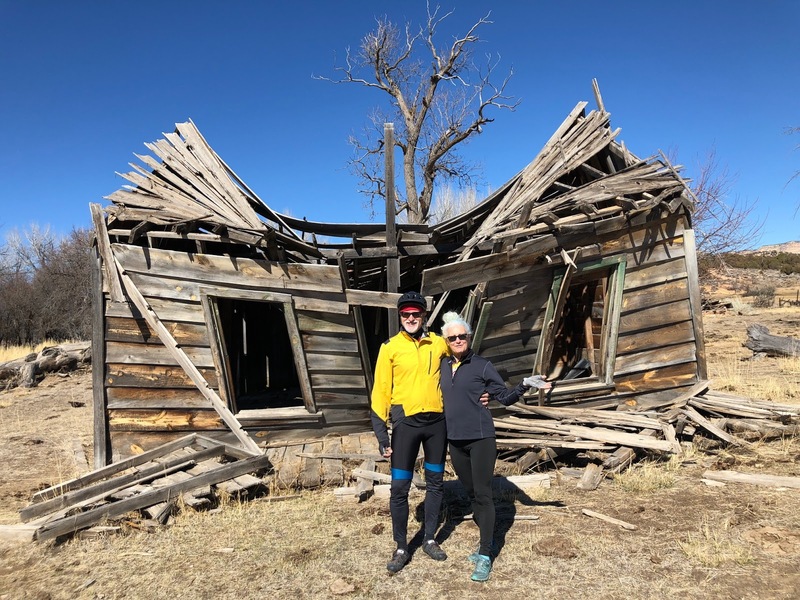 Mis amigos with their new fixer upper. The famous--in my world--Coddiwompler! Look up coddiwomple, cool word. This trailer is actually slick on the inside after a major rebuild. Zion at the gates of the Narrows. Doesn't get much better than this. My magical little camper, Jake, and Zion. Here's to a winter RV getaway in the most amazing state in the nation. Make it this far? Leave a comment . . . thoughts . . . favorite trips . . . favorite RVs . . .
Two days ago I replaced my 2013 Tundra with a 2015 Ram 1500 EcoDiesel. I am loving my new truck. It's so much more comfortable to drive than the Tundra and a lot zippier too. The Ram EcoDiesel is the first half-ton diesel pickup available in the United States since the 1978-79 Dodge D100 and D200. Ram's truck includes a 3.0-liter V-6 EcoDiesel engine made in Italy by VM Motori, a Fiat Chrysler Automobiles (FCA) subsidiary. Chrysler itself has been part of FCA since 2014 (though Fiat began its relationship with Chrysler in 2009--including their initial investment). The truck has been available since early 2014. Diesels appeal to me because they are better at pulling trailers (more torque) and they get much better fuel economy than gasoline powered trucks. The EcoDiesel engine makes this truck unique. Why it took Detroit 36 years to offer another light-duty diesel truck is something I don’t understand. The EcoDiesel has its roots in a partnership between VM Motori and GM. GM wanted a diesel engine for a European Cadillac they hoped to offer. The bankruptcy of GM in 2009 ended the budding partnership with VM Motori. With its new relationship with Fiat, Chrysler/Ram picked up where GM left off and worked with Motori to develop what became branded as the EcoDiesel engine. By 2013 they were previewing the engine at auto shows ahead of its 2014 debut. Despite its long-standing relationship with Cummins, Cummins didn’t have an engine appropriate for a light duty truck--although they would have one by 2016 available through Nissan. Fiat/Motori’s newly developed engine is built on a compacted graphite iron block. This is a strong material that allowed them to reduce the size of the block, also reducing the weight of the engine. Another innovation is the dual overhead camshaft design. This is the first diesel engine to use this technology (it's long been available in gas engines). 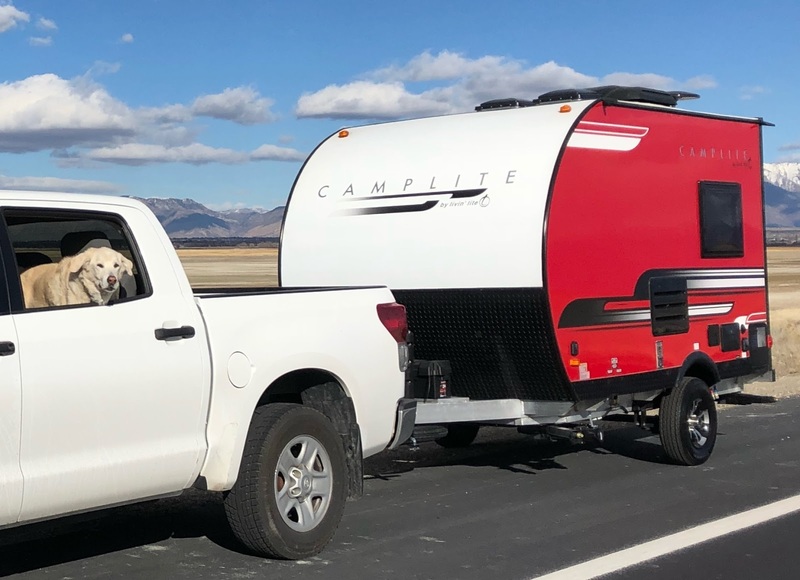 The engine is rated to tow 8,000 to 9,200 pounds (based on the configuration) and delivers the best fuel economy of any full-sized pickup truck. The new EcoDiesel engine has had a higher failure rate than most engines. It is likely that there has been at least a 3% failure rate in the first few model years (2014-2016). FCA replaces these failed engines (unless there is strong evidence that it wasn't properly maintained). The drivetrain on these trucks comes with a 100,000 mile warranty and most of the failures seem to be happening at 20,000 miles or less. The auto press doesn't seem to have covered this story much but you can read about it on this online forum for the 1500 Ram EcoDiesel. On the positive side, on the same forum linked to above, there are no reports of 2017 Ram EcoDiesels failing yet (as of 2/27/18). Read the thread on how 2017s are doing here. 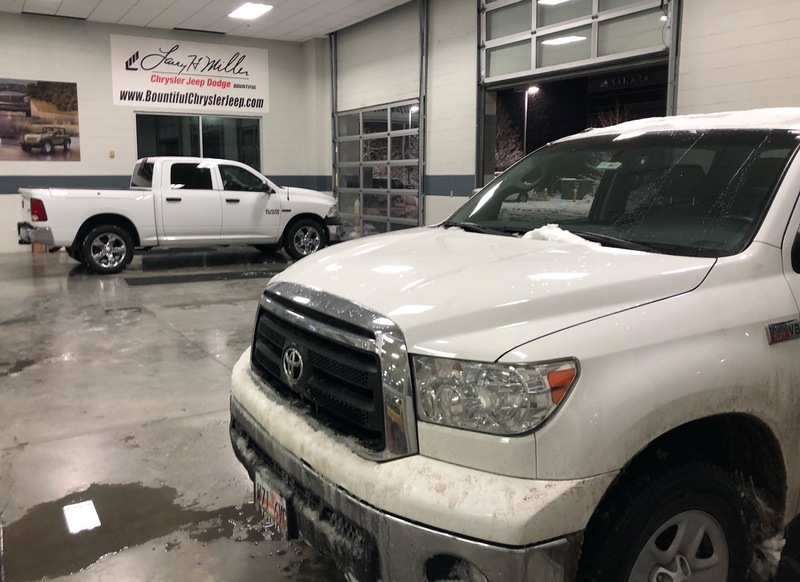 Despite what sounds like one possible very bad problem, through all of my online reading most owners seem to be very happy with this truck, but it seems clear that it's no Toyota Tundra regarding reliability. That was something I knew and took into consideration before my trade. Though there was plenty I didn't know. February 2014--Ram EcoDiesel goes on sale with strong initial orders. Circa March 2014--EcoDiesels begin arriving, and hitting the streets. 2015 and 2016--Sales continue with new model years arriving at dealer lots. More than 100,000 Ram EcoDiesels sold by the end of 2016. January 12, 2017--EPA and California regulators issue a "Notice of Violation" against Fiat Chrysler Automobiles (FCA), Ram's parent corporation, alleging violations of the Clean Air Act due to changes to vehicle software allowing excessive (and illegal) levels of nitrogen oxides into the air. January 2017--FCA CEO Sergio Marchionne "disputes any resemblance to VW’s Dieselgate scandal because nothing in FCA’s diesel calibration distinguishes between a test cycle and normal driving conditions," which was the case with VW. “This is a huge difference because there has never been an intention on the part of FCA to create conditions that are designed to defeat the testing process,” Marchionne said. More at Wards Auto. 2017 Sales Hold--during 2017 sales of new EcoDiesels were put on hold. I am not sure when the sales hold began, but likely shortly after the January 12 notice from the EPA. It's not clear if any 2017s were delivered in late 2016 or very early 2017, but if they were, it was likely not many. July 28, 2017--EPA and California regulators approve 2017 EcoDiesels to go on sale. But approval is not granted for 2018 models. Late September 2017--2017 EcoDiesels begin showing up at dealer lots according to Automotive News. December 2017--From Bloomberg: "Fiat Chrysler has acknowledged in a term sheet the company submitted to the government lawyers, the need for a settlement to include civil penalties, an emissions fix for the diesel vehicles and environmental mitigation efforts, the letter said. The automaker proposed committing to projects to promote low- or zero-emissions “mobility projects” in the December term sheet, which the Justice Department said regulators would be willing to consider." December 31, 2017?--FCA ends production of 2017 year EcoDiesels? Just a guess. January 27, 2018--U.S. Justice Department gives FCA a settlement offer. FCA would need to pay a substantial but unspecified civil penalty and recall and fix 104,000 vehicles, mostly Ram 1500 with EcoDiesel engines. The fix involves a software update. Importantly, given the recent VW situation, there is not talk of buying back these vehicles. 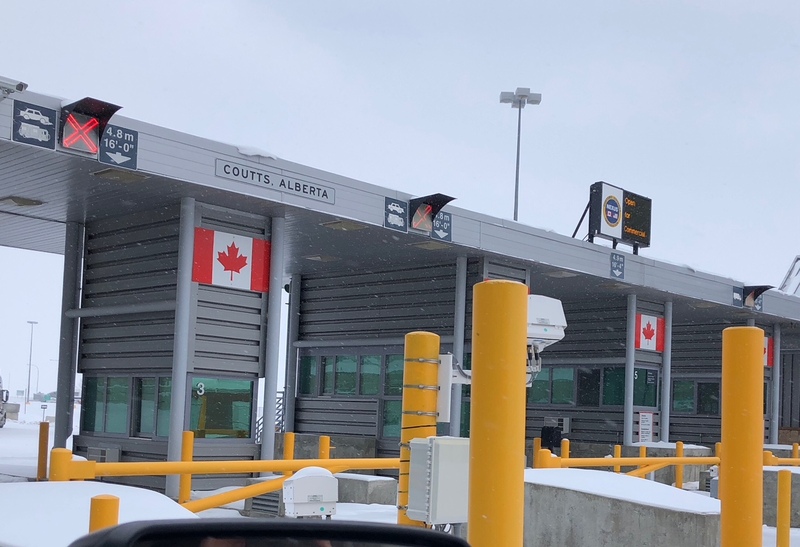 February 27, 2018 Update--Today auto journalist Tim Esterdahl heard from his contact at Ram who said there are "no issues with the EPA. The 2018 EcoDiesel is certified. They just haven’t hit dealer lots due to the production mix at the factory." There is a lot of mixed information out there about the 2018s, I'll be writing a separate post about them. Thanks to Tim for this update. I told him I am a little skeptical, but who knows? I am just passing on what he was told. Go to his website at https://pickuptrucktalk.com and follow him for truck news. Also subscribe to his channel on YouTube, he's near a threshold there and needs more subscribers. Ram, GM, and Ford have offered heavier duty diesels for years. These trucks are the work horses of our times--3/4 ton and larger. They are also expensive, starting at $45,000 to $50,000 these days, with $60k to $75k+ being common. They also hold their resale value as they tend to last for hundreds of thousands of miles if cared for properly. Half-ton trucks and smaller offer another story. After years of talk, Ford is expected to join the half-ton diesel market circa April of 2018 with a diesel option on their F-150. GM's play in this space began with their 2016 model year. They introduced the mid-sized Chevy Colorado and GMC Canyon pickups, offering what's branded as a Duramax diesel. These engines are made in Thailand. The 2019 Silverado 1500 and its GMC twin will be available with a new Duramax diesel, GM announced in January of 2018. I don't believe a release date has been announced and new diesel trucks are often delayed as Ford has demonstrated. Honorable mention to Nissan who joined this light duty diesel market in the 2016 model year, successfully getting a brand new Cummins diesel in their half-ton pickup. This was something of a coup for them. With the price of fuel at historic lows (when adjusting for inflation) demand for diesels is likely to remain soft, but there are many of us who love them for many reasons in addition to fuel economy. Having gone through what I did with my Jetta, all of the EPA-related issues Ram/FCA is dealing with aren't especially alarming (VW took good care of us). FCA CEO's comment about how this is different than what VW did resonates with me. FCA made modifications for performance, which they failed to get approved, that's a world away from designing a vehicle to behave differently while being tested. For me the advantages of diesel are big enough that I am willing to jump on this boat and see where it takes me. I was not fully aware of all of this when I made my purchase, but oh well. Goodbye Tundra. 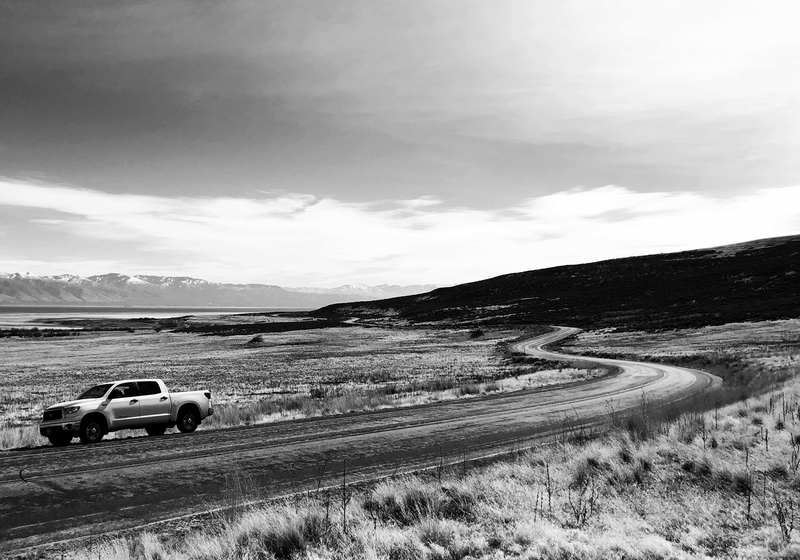 Toyota Tundras have a reputation as being long-lasting reliable trucks, though not flashy. Toyota gets dinged in the automotive press for not staying up with the times, but Toyota loyalists like the simplicity of the Tundras. 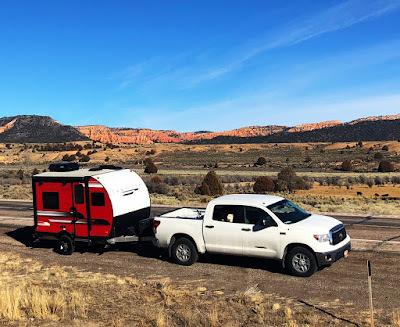 As for me, I just wasn't feeling it after I bought my new travel trailer which was lighter but much less aerodynamic than the vintage Airstream I had last year. Getting 8 mpgs when towing last week was the final straw. The Tundra's engine always felt unusually revvy to me too--it was something I just didn't get used to I guess. Despite not knowing much of what I've learned, and written about here, I remain happy with my purchase. Of course it's early days still . . . here's to my new truck being a good one! My now rejected Tundra in the foreground with my new Ram EcoDiesel, photographed this past Friday evening at Larry H. Miller in Bountiful, Utah. The Tundra is a good truck, it just wasn't the truck I wanted any more with its awful mileage and revvy engine. 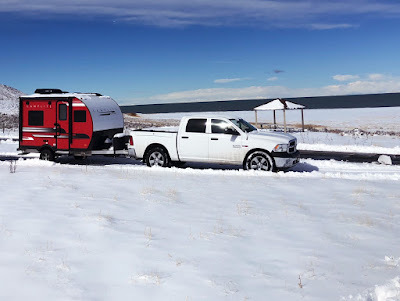 It's powerful enough to tow my little travel trailer, but it felt like it was straining to me and the 8 mpgs it was delivering was just not acceptable. My truck is also my daily vehicle. 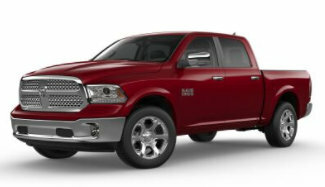 The smaller Ram with its better mileage won me over. Read about the predicted future of diesel in this Detroit Free Press article from February 20, 2018. One of its key points is that diesel in the U.S. isn't going away any time soon, though diesel is under threat, especially in Europe, as a result of the VW cheating scandal. To go more in-depth on the EcoDiesel engine read An Inside Look At The Ram 1500 3.0L EcoDiesel from Engine Labs. Cummins Hub also has more detail on the engine, see Ram EcoDiesel Specs. or something good to say--please leave a comment! 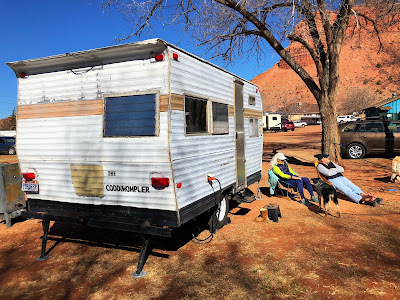 Photos from my first outing in my new CampLite travel trailer. 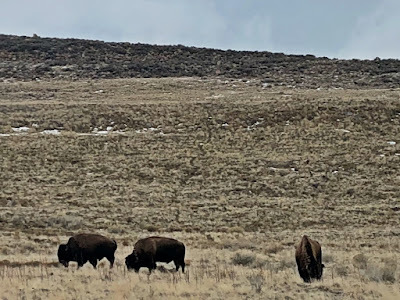 "Buffalo Rock," because it looked like a buffalo from a distance. 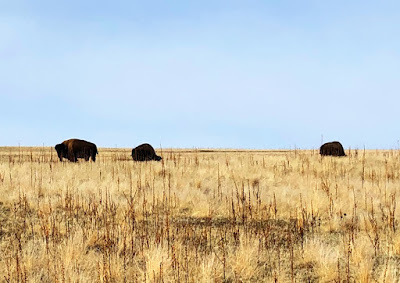 Was neither a buffalo, nor a rock. My new rig! 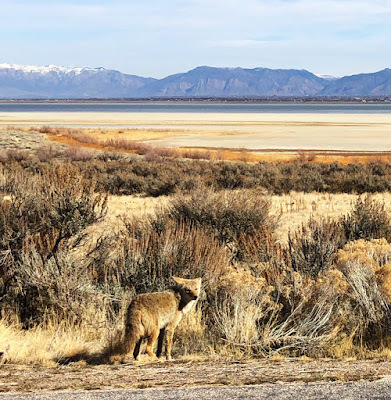 Wasatch Mountains in distance. 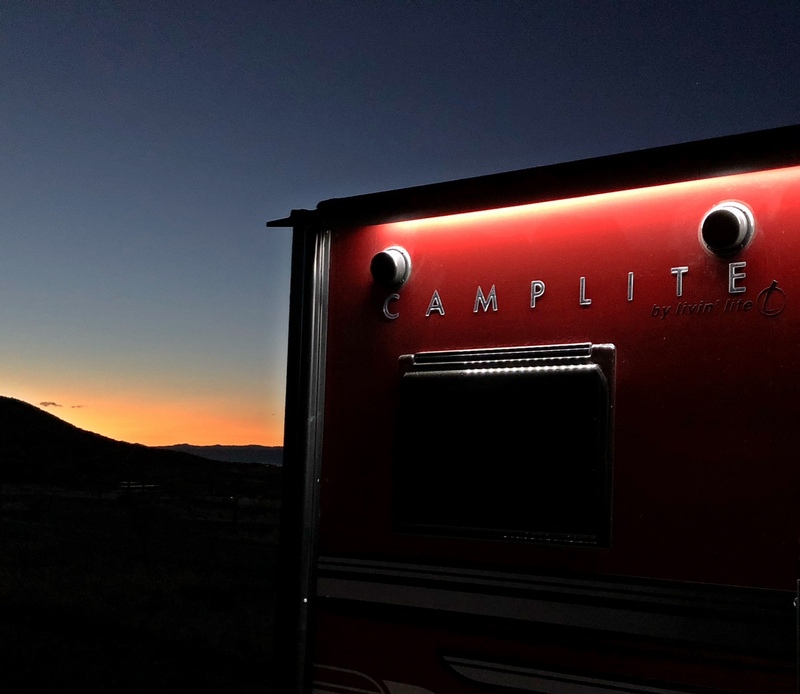 CampLite by Livin Lite. Lovin it. How did everything work on this first outing? 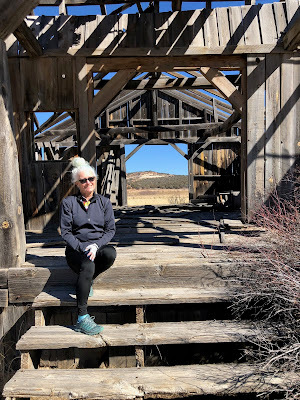 Scroll down or click here if you aren't on the main blog. Last night, with my pup Jake, I took my new CampLite 11FK travel trailer out for its first spin. 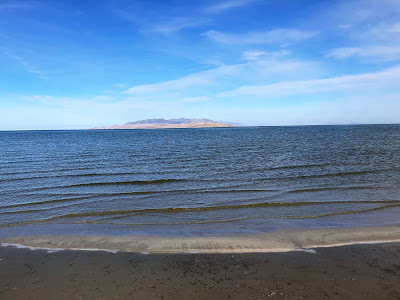 We went to Antelope Island State Park, in the Great Salt Lake. 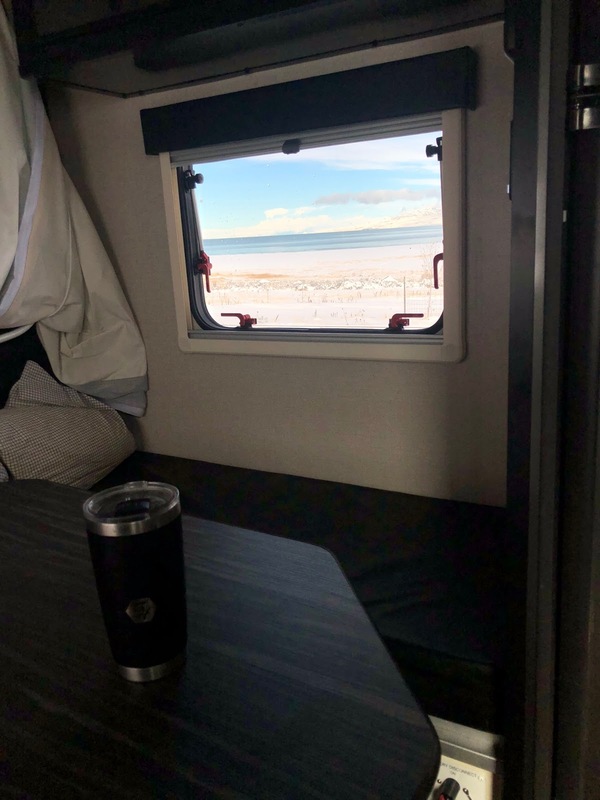 Having only had vintage Airstreams before, and being new to this trailer anyway, I wanted to begin to break it in and learn what I could. It doesn’t pull like an Airstream. There was wind on the way up and my lord . . . my poor V8 Tundra acted like it was going to die. This is a 2,400 pound (dry weight, and it was dry) trailer, but the added profile vs. my Airstream was markedly noticeable. On the way back, without wind, it felt like a 2,400 pound trailer--meaning I barely noticed it. I needed to ease up on speed with the wind, probably staying in the 55-60 mph range, rather than attempting to go 70, which was the speed limit. Of course, it's probably a good idea to stay at 65 max anyway. With my Airstream it was truly effortless to pull and I felt comfortable going 70, not that that was smart! For the record a smaller vehicle can definitely pull this CampLite . . . just adjust your driving if there's wind! It’s small! I wanted a small trailer and I got one. It’s big enough for how I will use it and overall I am happy with the size, but it will require a daytime configuration and a nighttime one. I knew that conceptually, but it was different to experience it. The USB ports didn’t work. 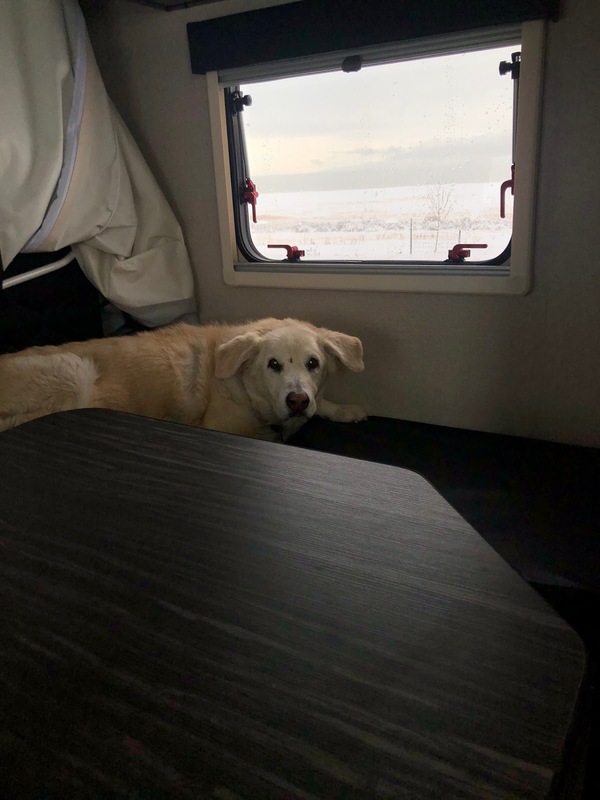 Apparently they aren’t wired to run off of the 12 volt system as they were in my vintage Airstream (an improvement I made to it). That was a bummer as my iPhone is also my camera. I trickle charged it off the Tundra. Jake with his new trailer. The furnace worked well! It got down to about 30 degrees outside and felt cold out there, but toasty inside. The refrigerator worked well--first time. Batteries held up fine, as you would expect for one night. My trailer is stumpy! Seeing it parked in the campground (which was at about 15% occupancy) it looked so small and stumplike. There's a serious dearth of places to sit things down like your phone or a drink. It only has the kitchen counter, which is at the front, and the main table, which I didn't have set up as a table. I recognized this already and brought a stool to set things on, but using it that point really stood out. I might have to have my friends at Camper Reparadise add some additional shelving and/or a mini counter top. 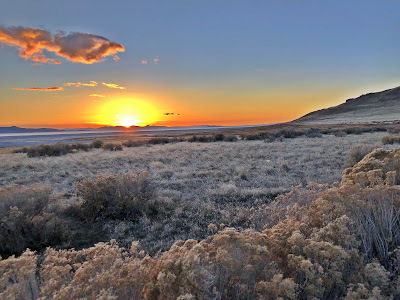 After the sun set, I reread my friend Rich Luhr’s Newbies Guide to Airstreaming. 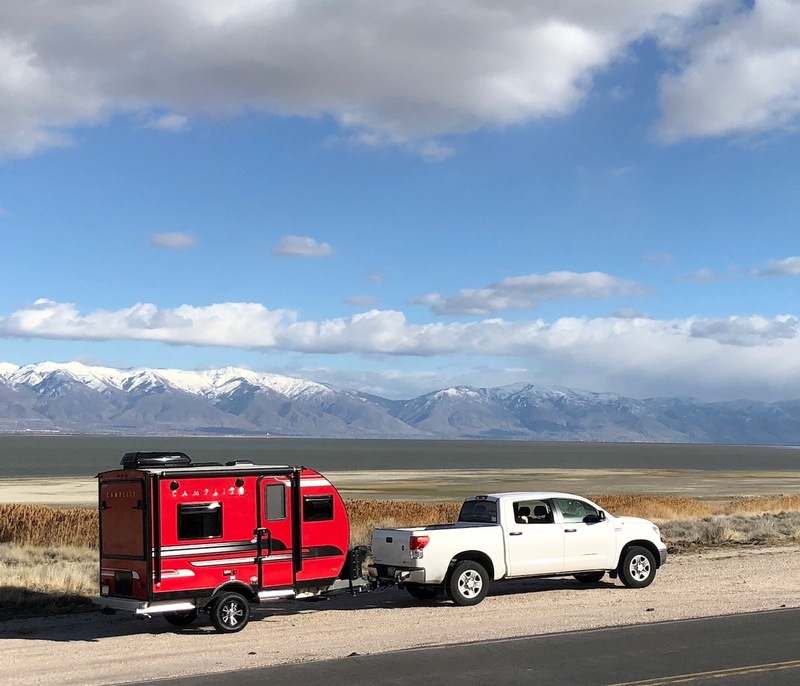 Rich created and publishes Airstream Life, a magazine. His newbies guide is great and applies to most any RV. Filled with wisdom, tips, and advice. I highly recommend this book to any RVer who feels anything less than expert. You can buy it here. 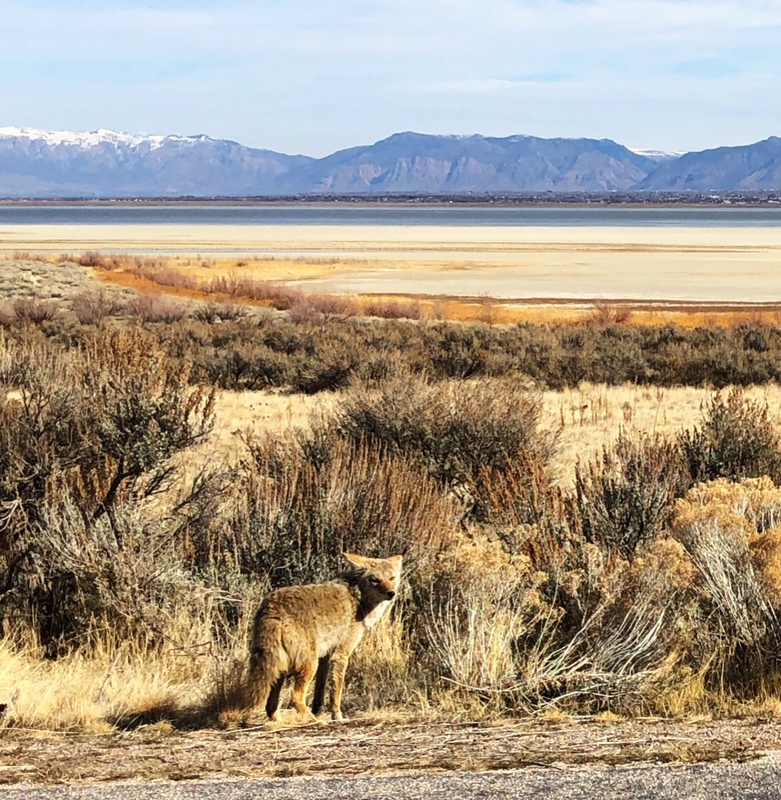 As we arrived on Antelope Island. 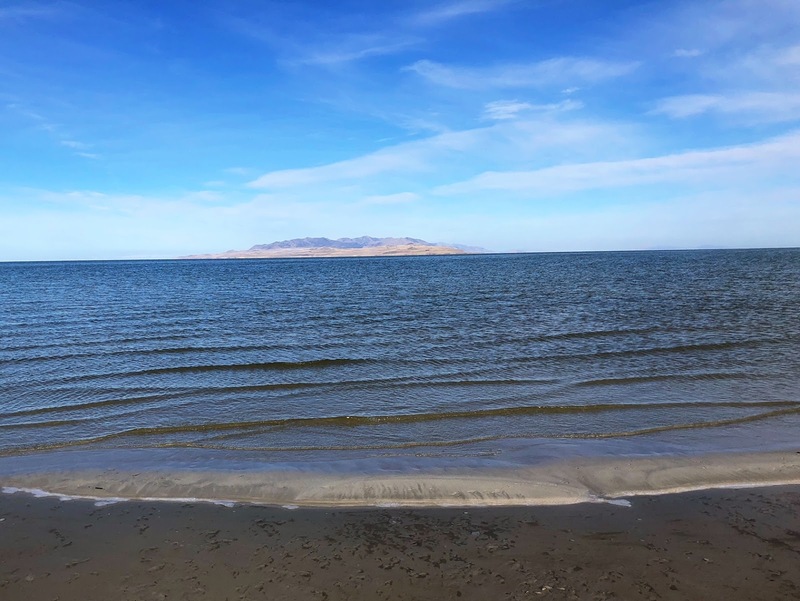 Great Salt Lake and Wasatch Mountains beyond us. The buffalo of Antelope Island. I was actually pretty close . . . which isn't smart. I had to zoom in via cropping. This was the best my iPhone could do given how close I was willing to go. Click here to read how I went from being an Airstream-only guy to buying a CampLite. 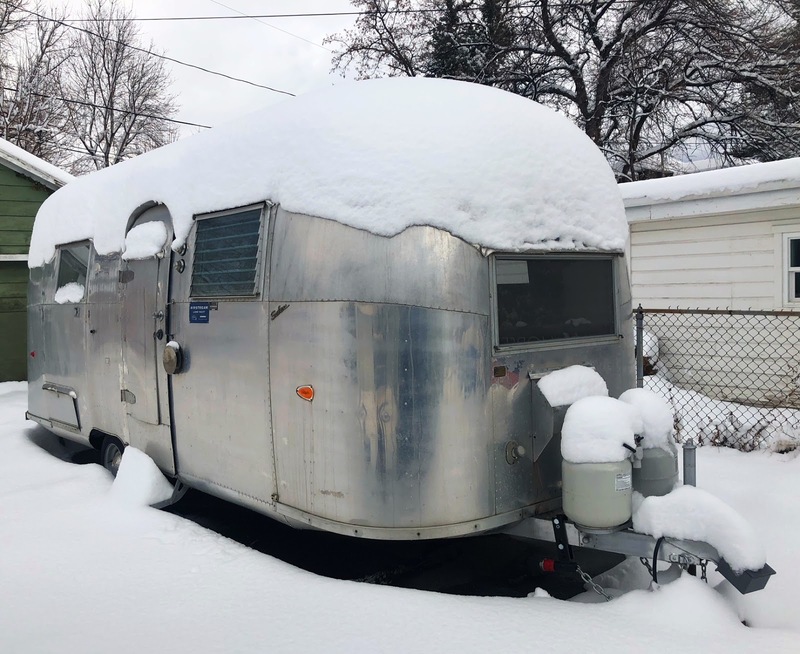 I've been a little obsessed with Airstreams since at least 2007 when I bought the 1973 Airstream that I full-timed in for 2.5 years. Since then I've owned three vintage Airstreams including the 1962 Airstream Safari I bought last year and just sold. I sold it because I'd maxed out what I could put into it and it still needed more work. It's an amazing trailer and it has a new owner who will continue with improvements and ensure it has additional life. 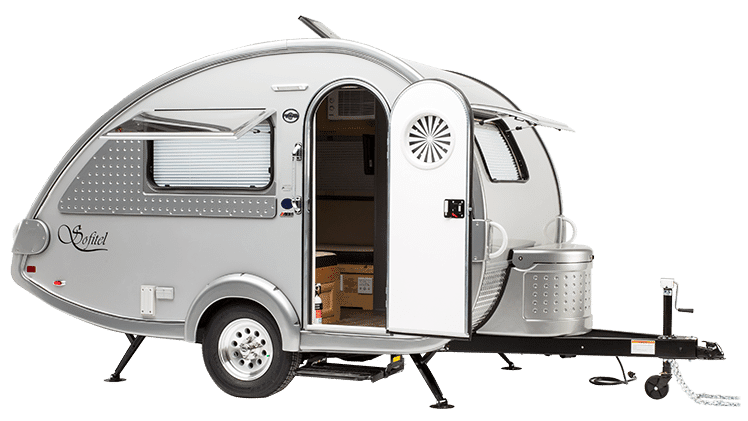 The aesthetic of an Airstream with its airplane-like aluminum body is the main appeal. But living in mine ten years ago also introduced me to a community of people who I fell in love with. The vintage crowd especially were a cool group, but I also became friends with owners of newer Airstreams. 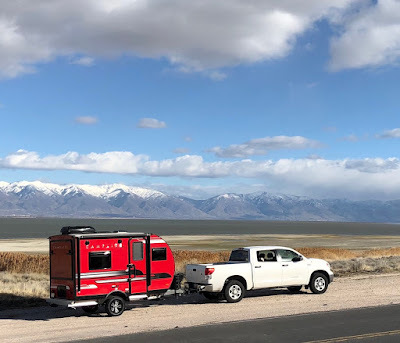 When I decided to sell my latest Airstream I wasn't planning to get another RV, but over the last two weeks I fell down the slippery slope. Before talking about my new trailer (yep, I bought a new one--and I mean brand new), I want to discuss Thor Industries. 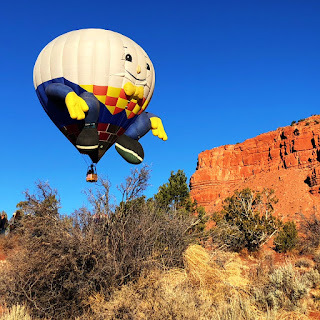 Thor is a company that was created in 1980 when Wade Thompson and Peter Orthwein purchased what at the time was an ailing Airstream from Beatrice Foods (which was a big conglomerate in the 1960s and 1970s). Airstream has its roots in the 1920s but officially opened in 1931. It's the only surviving brand of hundreds of travel trailer companies that existed before World War II. Under Thor, in the early 1980s, Airstream quickly returned to profitability. And Thor itself began its rise to becoming the world's largest manufacturer of recreational vehicles. Thor took over that number one spot in the early 2000s after many acquisitions and savvy management of its growing list of subsidiaries. Today Thor dominates the RV market with 48% market share when all of its brands are added up. The number two company is called Forest River, they have 34% market share as of 2017. I was not only infatuated with Airstreams, I was both an Airstream enthusiast and a snob. 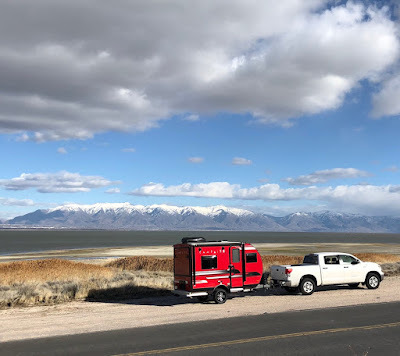 After selling my latest Airstream I ventured down to Parris RV, an SOB dealer (some other brand is what we Airstreamers call all other RVs) in Salt Lake. While there I had an epiphany. 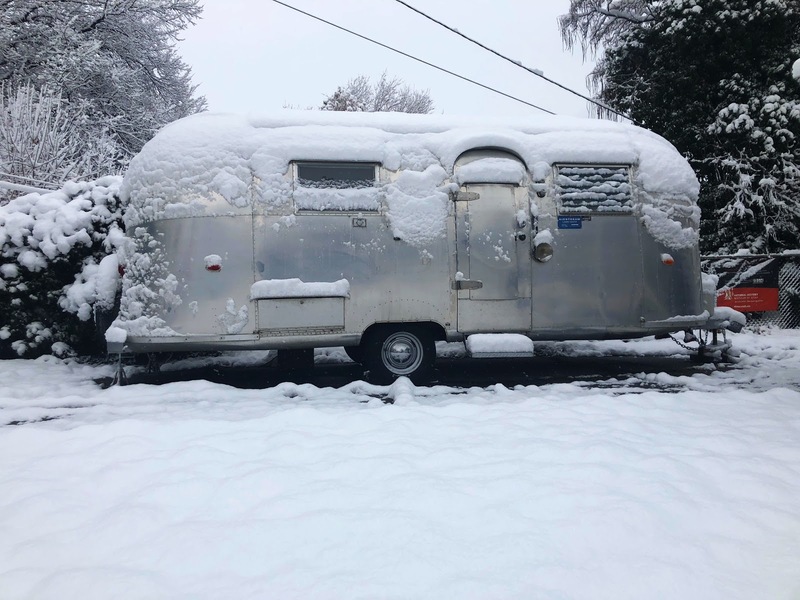 For the amount of money I had in my vintage Airstream, which I LOVED, I could have had a brand new RV. Now part of me probably knew that, but until very recently I wouldn't consider another brand unless it was some cool other vintage trailer. A T@B. Like Airstreams (and me), made in Ohio! 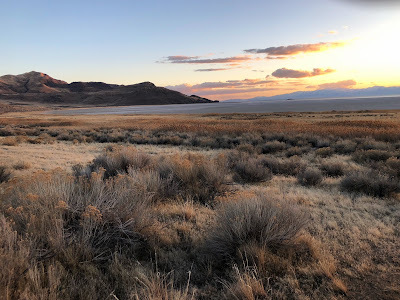 I browsed the lot at Parris RV and found myself liking much of what I saw. It was T@B (Tab) trailers that drew me to that particular dealer--plus it was close to my house. But they had other brands that caught my eye. I loved the look of the Riverside Retro series--though I wasn't sure about the quality of the Riverside products. There are so many cheap RVs. With many brands you just can feel the bad or questionable quality when you step inside. (Riversides may be fine, but I wasn't feeling it). The T@Bs were cool--they seemed very well built, but were very small. There was one T@B that was bigger (still small in the RV world but big for T@Bs) that I liked, but it was too expensive. At the end of the day I was intrigued by the Rockwood Geo-Pro. They came in a 14 foot floor plan that I liked and were very affordable. The Geo-Pro was cool, but as with the Riverside retros I was suspicious of its quality--though at that price . . . of course that's why so many cheap RVs are built and sold--because they can be made cheaply, in every sense of the word. So I came home and started scouring the Internet. At this point I knew I was basically a goner. I'd probably be buying something. I found out Rockwood was a Forest River brand and that Forest River settled with the National Highway Traffic Safety Administration for $35 million in 2015 for their shoddy work. After learning that, I was even more dubious of the quality of the very cute Geo-Pro. It may or may not be a solid product, but . . . The RV industry is big so I figured there must be something out there that was a good product, given the price range I'd settled on. I didn't want or need a big trailer. My online search continued. I looked at the new teardrops. I considered the Minnie line by Winnebago. I considered some cool and very rugged little trailers like the Moby1 line, which is made here in Utah. As cool as the Moby1 looked, and it looks like quality too, it was just too small. I wanted small, just not that small. So I went back to the mother ship--Thor. They own Airstream so I figured maybe one of their other brands would be worthy and in the size and budget of my search. And then I found it via Thor's website . . . This is a brand I'd never heard of. I clicked through to Livin Lite's website from Thor's and it didn't take me too long to become smitten. Livin Lite makes all aluminum trailers, including the chassis! Even Airstreams have steel chassis and Airstreams are infamous for having rusted out chassis. Coming from the vintage world I was well aware of that problem (though I'd never dealt with it myself luckily, I have seen a number of horrifying Airstream chassis that were severely rusted out). Airstreams are also built on a wood floor, which rots. I did deal with some floor rot in my 1973 Airstream. Livin Lite eliminated both steel and wood from their trailers creating what the founder called a "generational trailer," one that was designed to last for generations. I kept reading and looking online. Livin Lite seemed like a small company but one with a damned good product. I searched for the Utah dealer--Legacy RV. 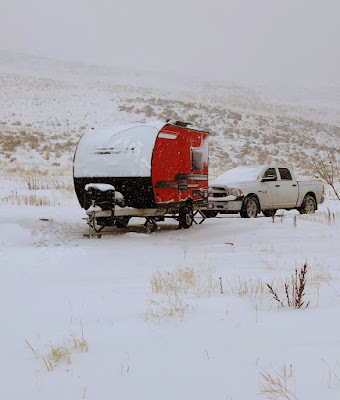 My visit to Parris RV was on Saturday, January 27. On Tuesday, January 30 I stopped by Legacy to see Livin Lite's CampLite product. 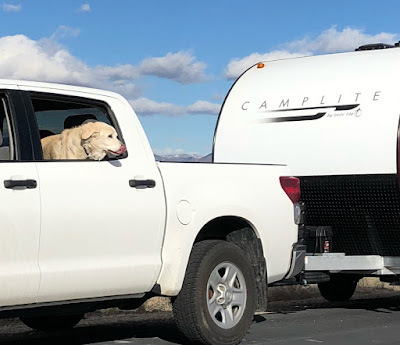 By the end of that day I'd signed the contract to buy a CampLite trailer. This Airstreamer had fallen off the wagon! Now back to Thor . . . and another division of theirs called KZ. I didn't know this on January 30, but it turns out KZ manages Livin Lite. Both companies are Thor subsidiaries. As many people do when making a purchase like this, I kept researching and learning all that I could. I wasn't taking delivery until Saturday, February 3. Late at night on February 2, I stumbled across some disturbing messages. There's a company-hosted online forum for Livin Lite products and a post dated February 1 was titled "Is Livin Lite really going out of business." On the verge of making this purchase this was disturbing. Even worse, I found a Facebook owner's group where dealers were confirming this rumor. It turns out that around January 31 or February 1 dealers were notified by KZ that Livin Lite was being shut down. 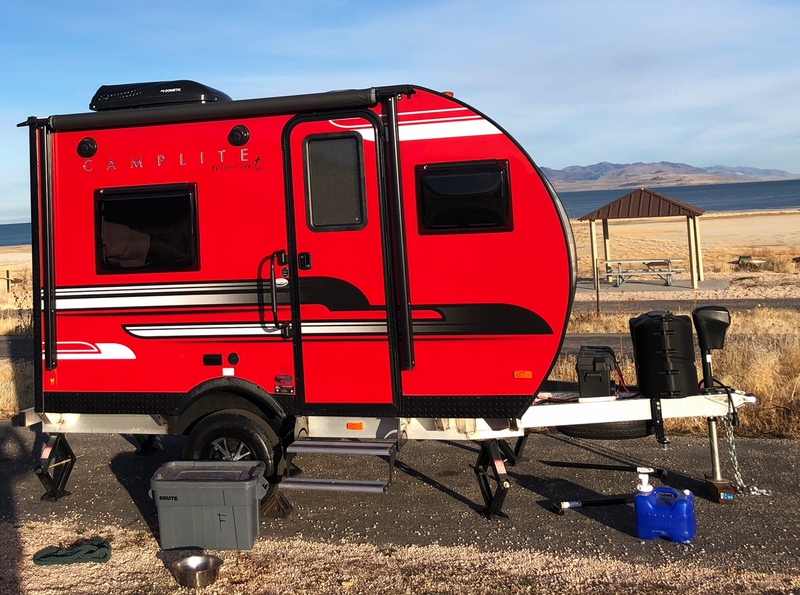 Now I know many people spend a lot longer than I did doing their homework on these types of purchases, but I'd taken a pretty deep dive and was sold on the CampLite/Livin Lite products. Also with my background with Airstreams I knew a little bit about RVs (enough to be dangerous). So I went to Legacy a little early the next day to see what they knew. They confirmed they'd received a similar message. It seemed like they weren't sure what it all meant. Would CampLite (a Livin Lite brand) continue under KZ? Legacy's owner thought they might, but if they did KZ would do away with the aluminum chassis (and maybe more aluminum) because they were too expensive to produce. Though it was the aluminum chassis and frame that was one of the main things that differentiated Livin Lite to begin with! I decided I didn't care. I liked the trailer I picked out. I wasn't worried about the warranty. If Livin Lite was to go away I was still buying a Thor product and Thor isn't going away any time soon. 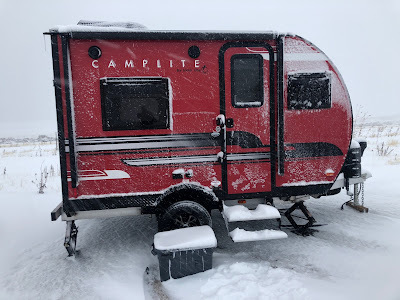 My new CampLite by Livin Lite! But now my research kicked up a notch. I occasionally write and edit articles on Wikipedia. 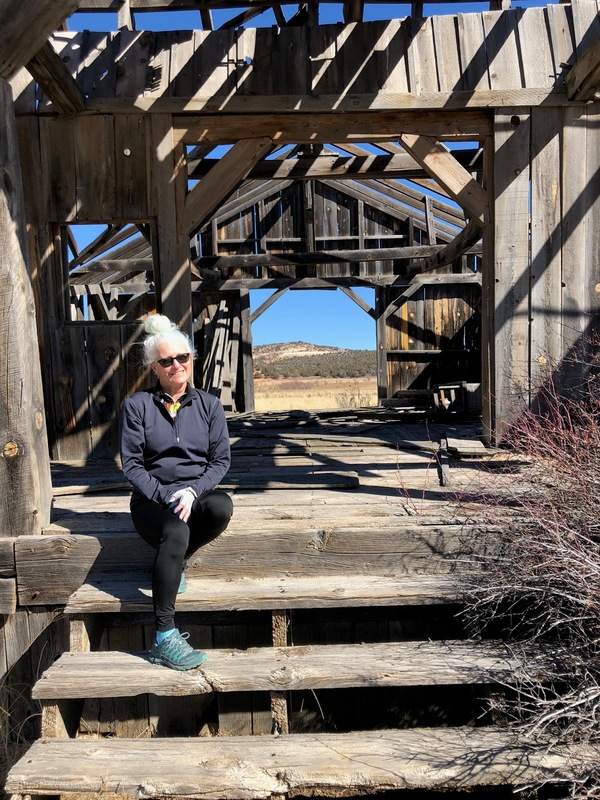 By Sunday night, February 4, I'd finished a substantial first draft of my new article on Livin Lite the company. You can see the new article on Livin Lite here. I proceeded this week to contact KZ and Thor executives by email, to respectfully ask them what's up. I heard back from a senior Thor executive who assured me my warranty would be honored (which, again, I wasn't worried about). 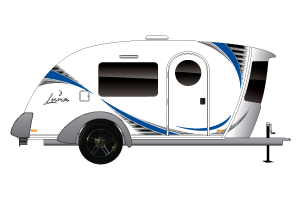 As the management oversight group for Livin’Lite, KZ will continue to produce Livin’ Lite trailers as orders are received. However, since they are not a fully mature product line, they will be batch run into the early summer. At that time, final decisions will be made to the future designs of the product. Although Livin’Lite is experiencing a transition in the products offered, rest assured that all warranties on all Livin’ Lite products are and will continue to be honored for their full terms, the same as any other brands we produce. 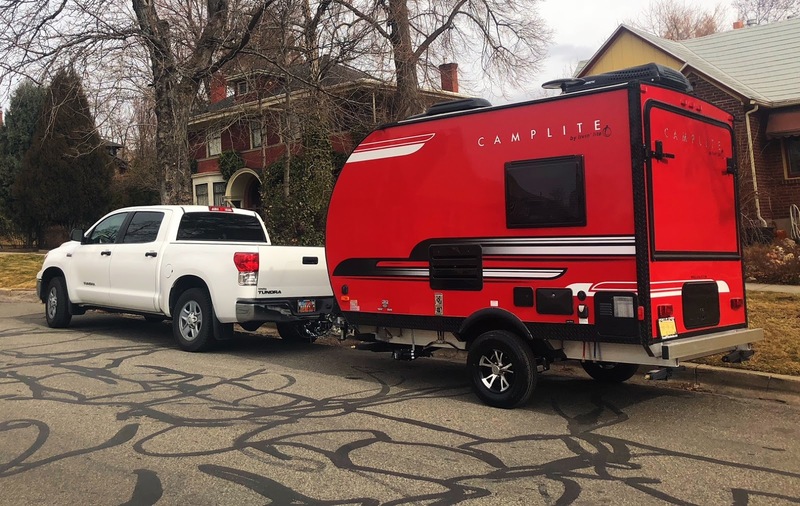 Thanks again for purchasing a CampLite and welcome to the KZ family. "no final decision has been made." I didn't know I was joining the KZ family, but I found out soon enough! Hope it's as good as Livin Lite. I'll write and post more on my new trailer later. I am excited about it. 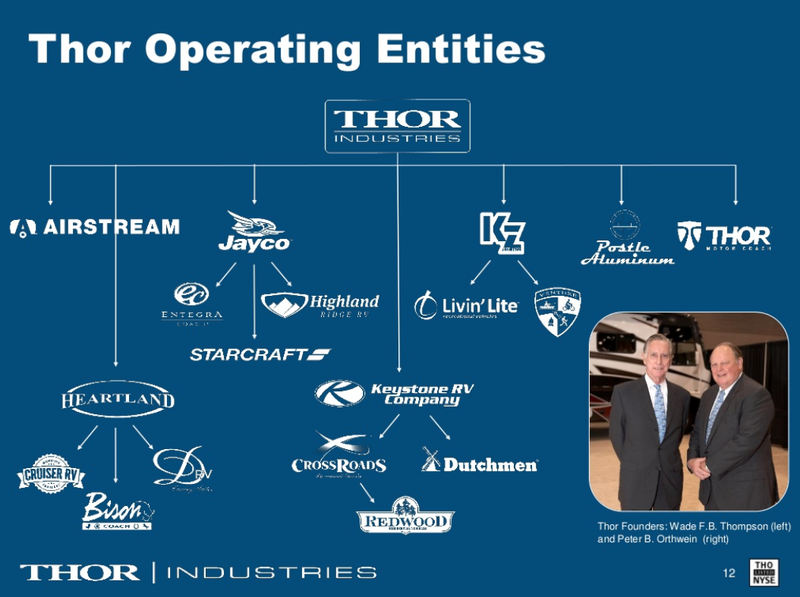 To wrap this post up, here's the Thor family of companies as they stand today. 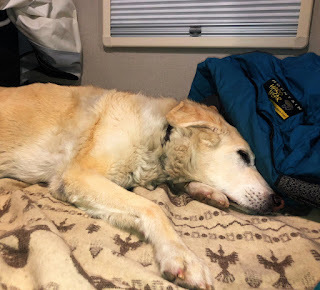 If Thor wasn't the entity that saved Airstream I never would have found Livin Lite at all. I do hope Livin Lite's product lines continue. And don't miss the Livin Lite Wikipedia article I wrote to learn more about the very cool, if endangered, company that made my new trailer. One of two days when it peeked above zero, skiing at Lake Louise. It was stunning. Crossing the border, Christmas day.